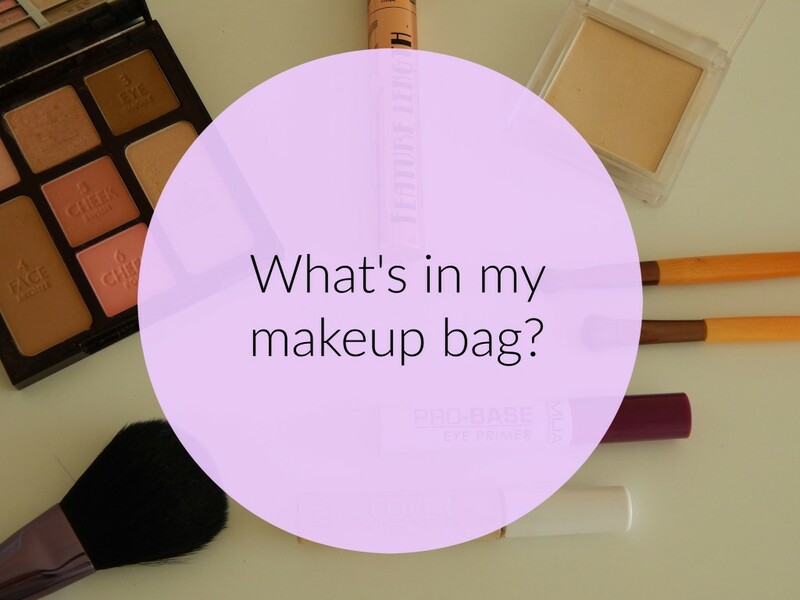 Between my birthday and a cheeky bit of shopping recently, there’s some new pieces in my makeup bag. I do swap some of them from time to time, especially when it comes to the eyeshadow palettes, but these are the pieces that I’ve been reaching for a lot recently. They also seem to find their way into my suitcase when I’m travelling, even if I’m just popping back t’north for a flying visit. 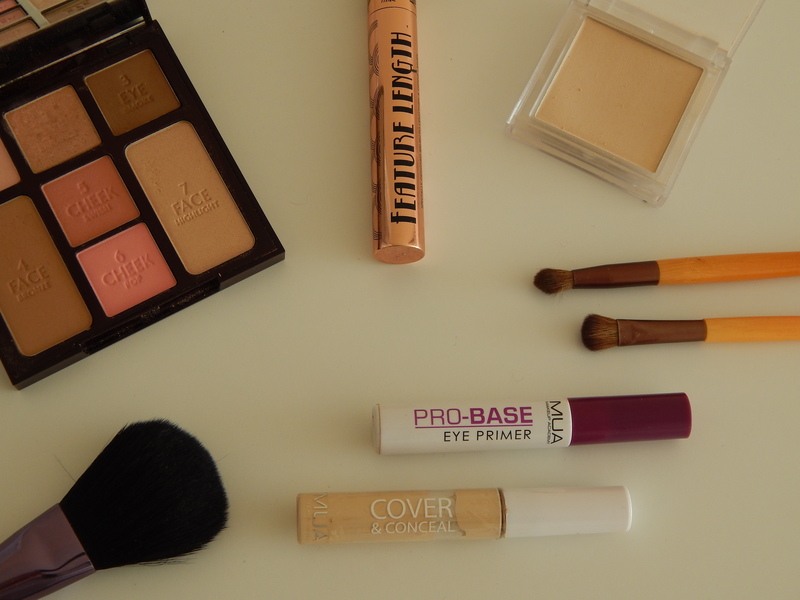 As you can see, a lot of this makeup is from super affordable high street brands. 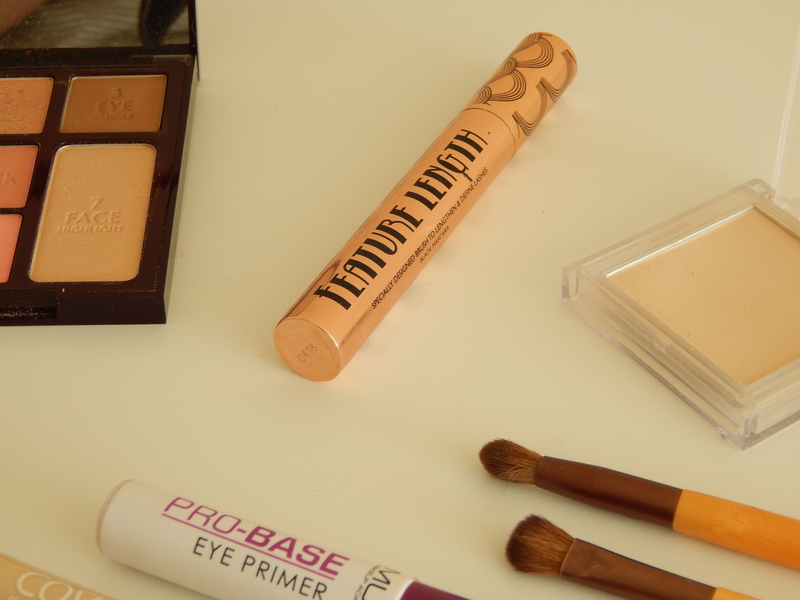 I’m still using a lot of MUA and Barry M in my everyday makeup routine. The eagle eyed among you might notice that the eyeshadow is NOT from my local Superdrug, though we’ll come back to that soon. Everything is also cruelty free. For those of you that are new to This Northern Gal, you can read a little bit more about my decision to go cruelty free here and I also did an update here. When it comes to my base, most days I keep it super simple. I use this MUA Cover & Conceal under my eyes and a light dusting of the MUA pressed powder all over my face. 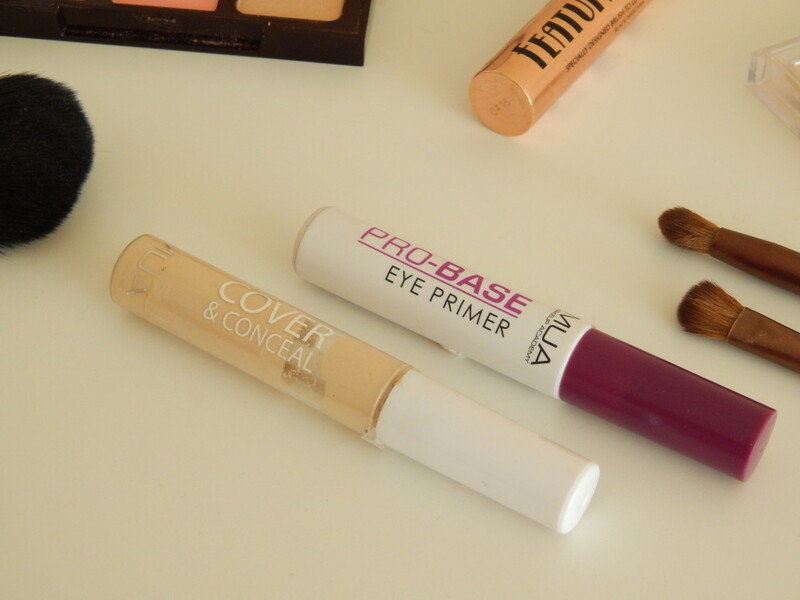 I follow that with the MUA Pro-Base Eye Primer to even out the appearance of my eye lids or make a great base for my eyeshadows. If I fancy it, I use the bronzer, blush and highlight from my Charlotte Tilbury palette to add a little more colour and definition. I am so in love with this palette! It was a birthday present and I genuinely squealed when I opened it. It’s way out of my budget usually but I can see why people love the brand so much. The product is of a really high quality, with a little going a long way. 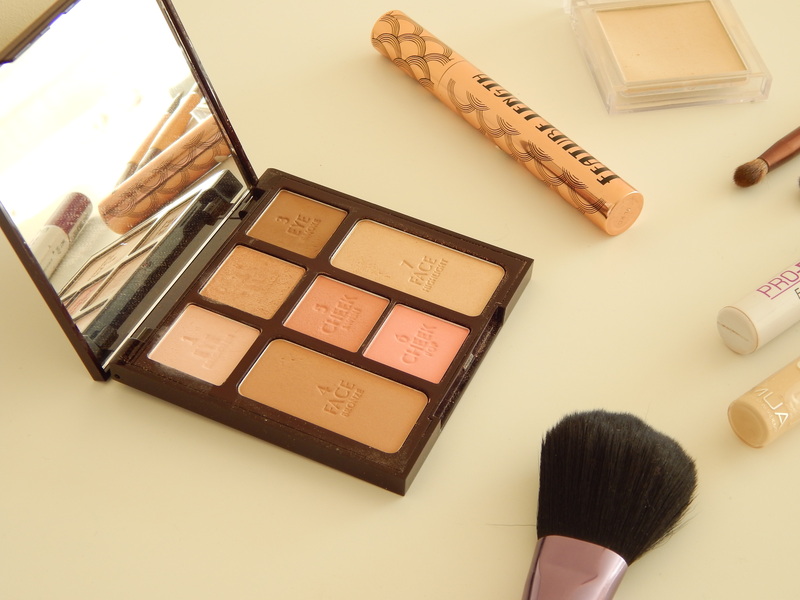 I mainly use it for the eyeshadows, namely the central shimmery colour and the matte brown. They instantly add a little colour and stay for AGES. It is a beautifully subtle everyday combination that I’ve been wearing a lot. It’s the ‘Instant Look in a Palette’ according to the Charlotte Tilbury website and it’s incredibly versatile product. Like I said, it’s great if I need to take my makeup bag on the go because everything I need is in the one palette. The final member of my makeup bag is the Feature Length mascara from Barry M. I picked this up on a whim while in Superdrug and I now love it so much that I threw out all my other mascaras. It’s lovely and lengthening, building well if you want something a little bit more from time to time. Not pictured is the slightly battered tin of lip balm that I wear almost daily!